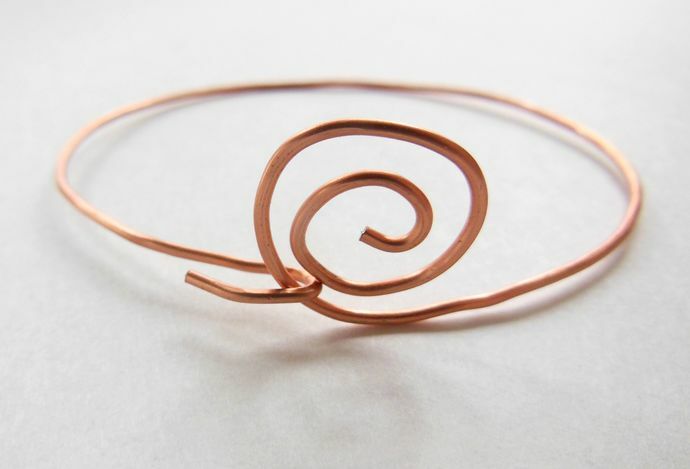 I handformed copper wire into a bangle with a swirl and a hook to close it. The second photo shows the hook. I hammered the bangle so that it would keep its shape; however, copper is rather pliable, so the shape may need adjusted occasionally. 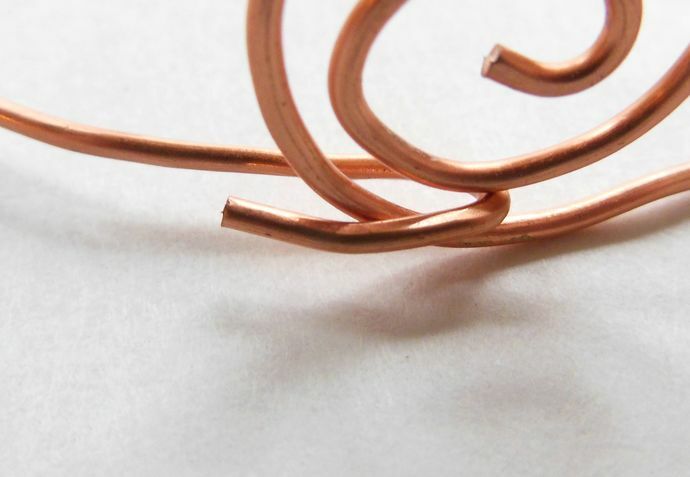 The wire has been coated to prevent tarnish and to keep your skin from turning green; this will wear off eventually. If you notice that the bangle is greening your skin, you can coat the inside with a clear varnish (clear fingernail polish works well for this).